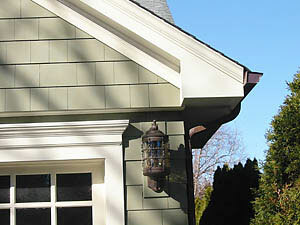 For James Hardie siding, turn to the experts at Waddle Exteriors. We’ve been serving Cedar Rapids, Dubuque, and other nearby areas in Iowa since 1978, and have a full staff of experienced installers that have been trained specifically in the installation of fiber cement siding. We’re so confident in the fine quality of our craftsmanship that we offer an exceptional 100 percent satisfaction guarantee on our work. In addition to HardiePlank fiber cement siding, Waddle Exteriors strives to offer the best customer service in Cedar Rapids and Dubuque, IA. That’s why our services always begin with a free consultation. This way, we can learn what you’re looking for in terms of new siding, talk with you about your options, and provide you with a complimentary estimate for your project. We’re proud to note that our dedication to customer service has helped us to earn and maintain an A+ rating with the Better Business Bureau. If you’re interested in having James Hardie siding installed on your home, contact Waddle Exteriors today. We proudly serve residents of Cedar Rapids and Dubuque, IA.